If you are looking for a true African Safari, Botswana is the perfect adventure destination. With tourism as one of the country’s most important revenue stream, Botswana really knows how to roll out the red carpet for visitors. Over the past few years, Botswana has become a tourism mecca with luxury hotels and lodges being developed and reinvented to world class standards across the country. Many of these are destinations in themselves but their locations within some of Botswana’s most treasured wildlife areas will be what make a trip to Botswana unforgettable. The rivers that stream into Northern Botswana give life to the vast papyrus and palm covered wetland that is the Okavango Delta. Known as one of the largest inland wetlands in the world, the delta teams with prolific birdlife and visiting animals; including hippos, buffalos and giraffes and much more that can be found at the shore line. The Moremi Reserve was named as a tribute to Chief Moremi of the Batawan tribe. Its location in the central part of Okavango Delta makes it ideal for seeing wild animals such as lions, cheetahs, buffaloes, zebras, elephants and giraffes. Located in Eastern Botswana, Mashatu is renowned for being one of the best privately owned game reserves in southern Africa. This reserve offers visitors once in a lifetime sightings of rare birds such as black eagles, kingfishers and thornbills. Several lodges in the reserve cater for night time game viewing giving visitors the rare chance to spot leopard, genets, and aardwolves. For tourists seeking the Africa they have read about in storybooks, the Kalahari is the ultimate destination. Despite the desolate landscape, it’s teeming with wildlife. From prides of black-mane lions to spotted hyenas there are over 1100 predators that call the Kalahari home including cheetahs, lions and leopards. The Chobe National Park takes its name from the Chobe river. This astounding 11 700 square km area varies in landscape from the lush vegetation of the floodplains to the scorched Savuti Marsh. 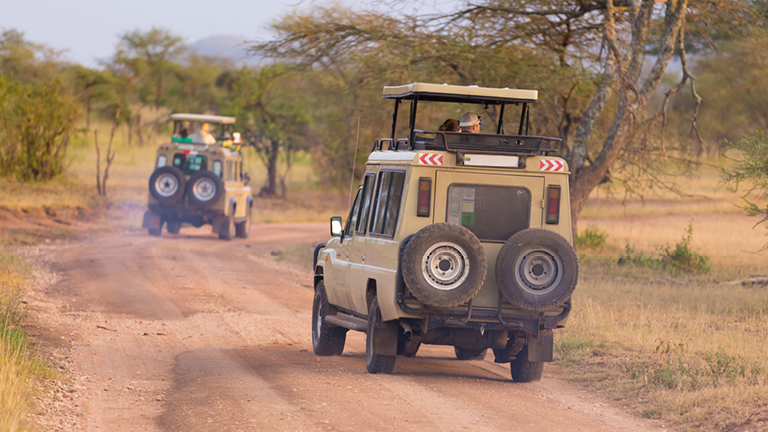 This is truly big game country with herds of buffalo and elephant to be seen along with exceptionally large lion prides and an abundance of birdlife.